We pride ourselves on providing present and prospective guests with friendly, attentive and knowledgeable service. Our front-desk staff are available 24-hours-a-day, ready to take your call and answer any inquiries about our North Vancouver hotel Rates, our SureStay Hotel by Best Western North Vancouver amenities, or anything else that’s on your mind. 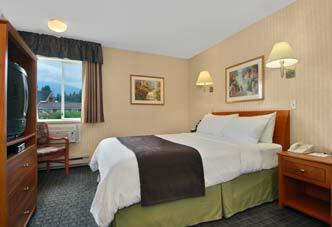 For the fastest, easiest and most secure way to book rooms with our best rates, link make your reservations online right now. We look forward to welcoming you to North Vancouver. 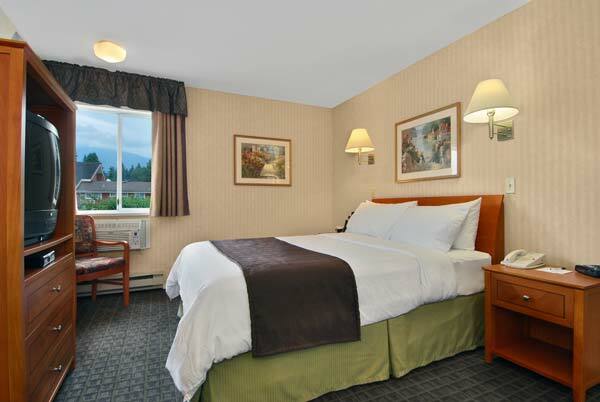 Access to the SureStay Hotel by Best Western North Vancouver is very straightforward. Enter in your address below to get directions to our Hotel. Take Georgia Street through Stanley Park and across the Lions Gate Bridge. Take the North Vancouver exit to Marine Drive, then left at the first traffic light onto Capilano Road. Take Highway #1 (Trans-Canada) west over the Second Narrows Bridge to exit #14 (Capilano Road), then left on Capilano Road for 2 blocks.